When you visit Cape May, New Jersey, you can do just about everything. From museums to the beach to local restaurants and shopping, everyone can find something to enjoy. If you are a theater lover, then Cape May is for you too! There are 3 great ways to enjoy Cape May Theater for all ages. 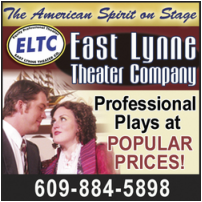 The East Lynne Theater Company performs at The First Presbyterian Church at 500 Hughes Street in Cape May and are also an Equity company. Founded in 1980, they have the distinction of being recognized by The New York Times as one of the top summer theater programs in the country and have the mission of preserving American theater for generations to come. Their 2017 Season includes year long programming with Murder Mystery Weekends, a partnership with the Cape May Film Society for Silent Movie Sundays and more. They also offer a Student Summer Workshop for ages 10-16. The arts lover has another opportunity to enjoy Cape May theater at the Cape May Stage. 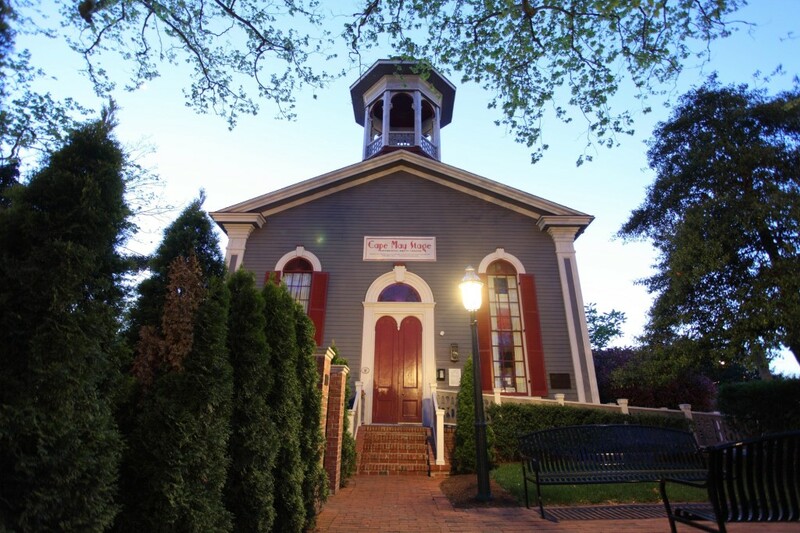 The Cape May Stage has been producing high quality plays and events since the late 1980s and is now at home at The Robert Shackleton Playhouse, located at 405 Lafayette Street. The company is a professional Equity company that performs many different productions throughout their season. Their 2017 Main Stage season includes Billy Bishop Goes to War, The Tale of the Allergist’s Wife, The Gin Game, The Ultimate Christmas Show and Outside Mullingar. Their Second Stage is not to be missed either as PNC Arts Alive sponsors their Broadway Series with amazing talent including Jill Eickenberry & Michael Tucker and Jim Dale. They also have a Monday Night series with events for families and adults, which include discussions, new play readings and more. Finally, if you are staying in town for an extended period and your children are interested in the theater arts, they offer a Cape May Stage Summer Camp program. If you are visiting with young children and are looking for children’s theater programming, Cape May theater options include Cape May Children’s Theater which offers weekly shows at the Cape May Convention Center. Showtimes and details for the season can be found on The City of Cape May. We are especially lucky that your beach vacation can include options for the arts and entertainment. Also, the quality of the programs are top notch and award winning. We hope that you get to enjoy Cape May theater shows when you are visiting our gorgeous historic seaside resort town. This entry was posted in Activities, Events, Family, General and tagged cape may stage, family, theater by Deanna Brown. Bookmark the permalink.